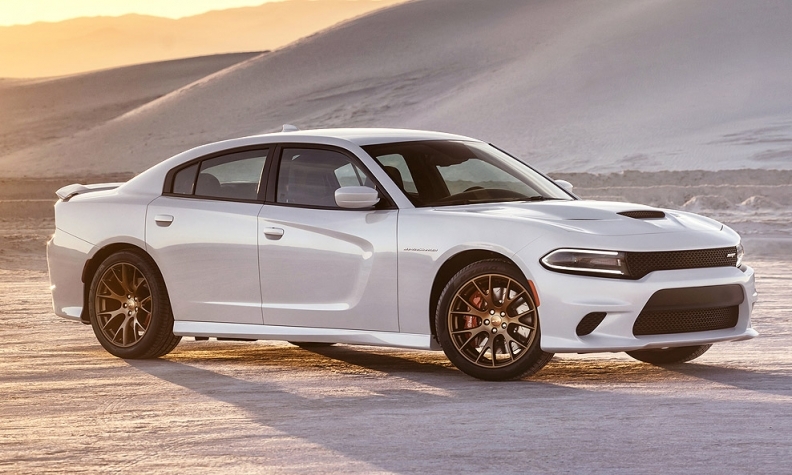 Orders for the Dodge SRT Hellcat Charger (pictured) and Challenger aren't expected to resume until August, Allpar.com said today. Fiat Chrysler would not say when it will begin taking orders again. Fiat Chrysler Automobiles has stopped taking orders for the Dodge Challenger and Charger SRT Hellcats so it can work through a lengthy backlog. Order-taking is expected to resume in August, according to Allpar.com, which reported the news this morning. FCA US confirmed the suspension but didn’t specify how long it would last. Demand for the pair of 707-hp cars built in Brampton, Ontario, has wildly exceeded company projections, and their limited availability has frustrated dealers and would-be buyers. Several weeks ago, FCA’s top U.S. spokesman, Gualberto Ranieri, criticized “a handful” of dealers for engaging in “unscrupulous” and potentially illegal behavior by taking orders they may be unable to fulfill. Dodge dealers have delivered more than 2,200 Hellcats -- some at well above sticker price -- but Dodge brand head Tim Kuniskis told Automotive News last week that the company had received more than 9,000 orders. That’s double the annual sales for which FCA had planned. Dealers started taking orders in September. Most of Dodge’s 2,300 U.S. dealers were told that they may get no more than one per month, yet some have taken orders for dozens, or even hundreds. Some have asked for nonrefundable deposits of up to $5,000.